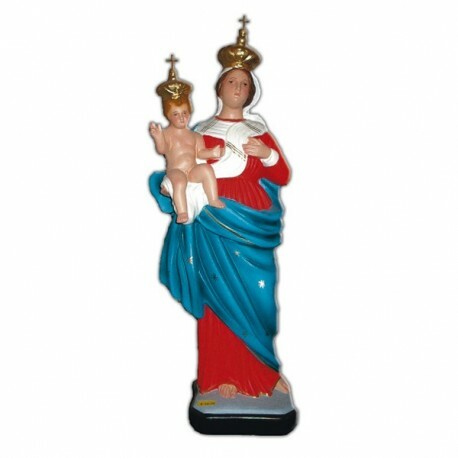 Statue of Our Lady of Graces, 55 cm. 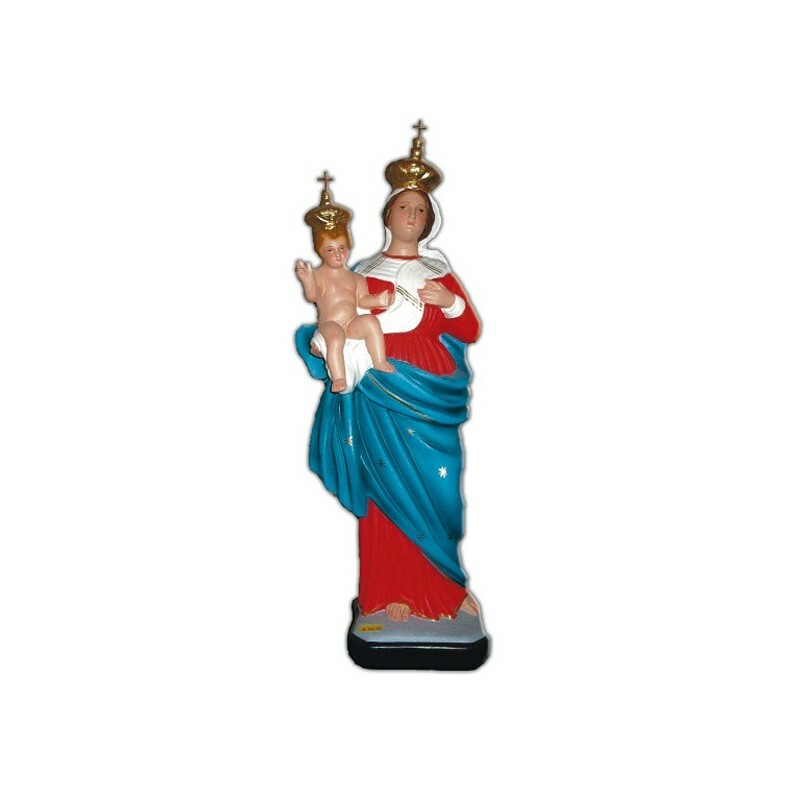 Statue of our Lady of Graces, 55 cm of fiberglass, handmade in Italy. The Virgin Mary is also called: Mother of the Divine Grace, Holy Mary of the Graces or Blessed Virgin of Graces. She is venerated in many places with a lot of churches. She is officially commemorated on the 2 of July. In the classical image the Virgin wears a red and blue clothing, with the Baby, golden crowns and a hand on her heart.